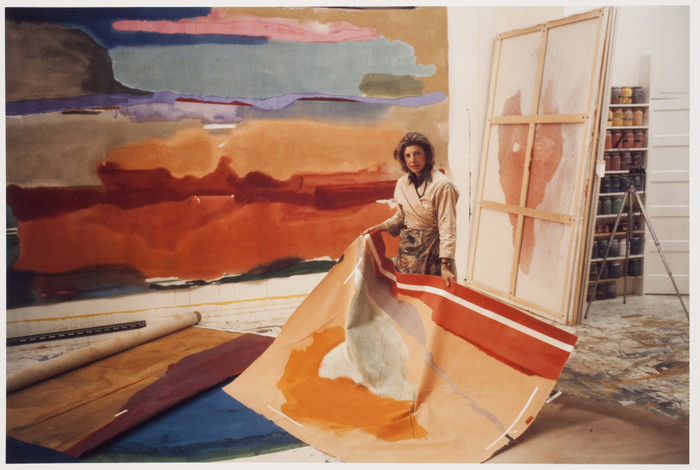 Helen Frankenthaler was born in New York in 1928. She studied at a number of art schools and was taught at one stage by Hans Hofmann. By 1950 she had met many of the main figures of Abstract Expressionism. In 1958 she married the painter Robert Motherwell.